Flying into space might only be the preserve of astronauts and the rich and famous, but we’ve found something that’s within everyone’s grasp and doesn’t cost the Earth. A pressurized habitat submerged in the world’s largest pool. Not quite what you had in mind? When the UK opened its doors to commercial spaceflight from Europe’s first spaceport, it invited the continent’s wealthiest tourists to fly into space. But what about the rest of us budding Buzz Aldrins? We might not all be able to afford the $250,000 suborbital Virgin Galactic flight or $35m for 11 days aboard the International Space Station1,2. So when you’re thinking about your next 'bucket list’ adventure, look no further than Essex for your destination of choice. 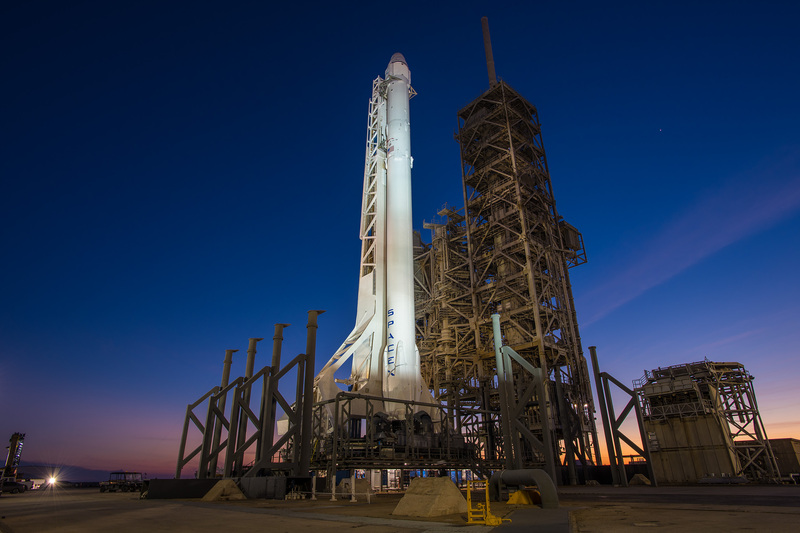 The SpaceX Falcon 9 Launcher with Dragon Spacecraft used to fly two space tourists around the Moon in 2018. At 18 metres under the surface of a super-sized pool, you’ll find a network of interconnecting pods that make up the ‘BA18’. Created to simulate living in space, the pressurized habitat provides a very real taste of what it might be like to stay on Mars. Coupled with experiencing neutral buoyancy, high-G, and real weightlessness at 20,000 feet, you can spend up to 5 days surviving on space food and conducting planetary exploration on Mars. So how about it? The idea of colonising Mars has long been a fascination with science fiction. In more recent times, fantasy has become reality with NASA, for example, looking to send manned missions to Mars in the 2030’s. Blue Abyss founding directors John Vickers and Professor Simon Evetts, along with key industry experts, teamed up to create unique ‘Out of this World' experience programmes to give everyone a chance of experiencing space travel. The founders of Blue Abyss, the world’s first commercial aquatic and space research and training centre, were keen to create a facility that would offer something for everyone. The sizeable complex caters for astronaut training and experiences as well as subsea pre-operational training, submersible vehicle development and testing, recreational diving, extreme environment-focused physiological studies and R&D, plus an inspirational STEM education and outreach programme. "When we were designing Blue Abyss, we wanted it to become a one-stop-shop for extreme environment training and research. It has intrinsic commercial value to a number of diverse organisations including space agencies and offshore energy companies," says John Vickers, Blue Abyss Chief Executive. The Blue Abyss super-sized pool. 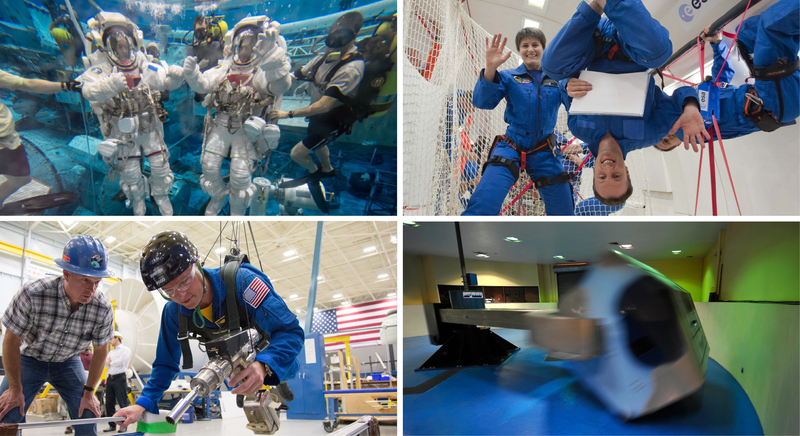 So what exactly is astronaut training? Water is the only medium on Earth that can replicate the feeling of weightlessness in space for long periods. It’s been used by international space agencies to train astronauts for over 45 years alongside other methods including high-G centrifuge training and zero gravity parabolic flights. Unlike a parabolic flight, neutral buoyancy training enables astronauts to spend much longer ‘in space’ under controlled conditions, ideal for simulating activities like spacewalks. It involves being underwater wearing an appropriately weighted, pressurized spacesuit with life support and communication systems, so that you experience the feeling of carrying out a spacewalk in the vacuum of space. Pre-spaceflight briefing and intensive preparatory training is a necessity for all space travellers. Whether you touch the edge of space or actually go in to orbit, you need to prepare for the rigours of launch and return to Earth, and be familiar with the weightless microgravity environment, just as astronauts do. The Blue Abyss Astronaut Training Centre offers spaceflight preparation services that allow space travellers to prepare for space. It also offers popular experiences like the centre’s Moon and Mars Mission programmes to be enjoyed by anyone wishing to experience the excitement and adventure of travelling out of this world. Consumers are becoming jaded by material gifts in our have-it-all culture. Instead they’re looking for rare and exciting activities to experience, to gift to family and friends or to reward employees. According to the World Tourism Organization, the adventure tourism market was valued at $263 billion3 in 2012 and was predicted to grow at a rate in excess of 50% per annum until the end of the decade. You’ll get a five-day experience including onsite catering and accommodation, plus neutral buoyancy training in the pool, hypergravity familiarisation and a parabolic flight. Aboard BA18 you will not only feel Mars’ gravity but also experience the orange glow of its atmosphere and see its starry sky, two moons and Olympus Mons, its tallest volcano. The popular Moon and Mars 'Out of this World' packages cater for the adventure tourism, experiential and corporate training markets. The individual elements of a package like this can be undertaken in isolation to offer shorter experiences for people seeking novel yet more affordable, adventurous leisure activities. Blue Abyss offers individuals an incredible and remarkably realistic space experience, without the hefty price tag of a rocket launch. Many of the same simulation techniques are used to provide invaluable training for astronauts preparing for space missions,” says veteran NASA Astronaut, Dr. Scott Parazynski. In building the world’s most comprehensive aquatic and space training and research centre, Blue Abyss has managed to create compelling once-in-a-lifetime experiences that everyone can enjoy. So, if you thought that you’d never have the opportunity to experience space, think again! Main image: True-colour image of Mars seen by OSIRIS - ESA & MPS for OSIRIS Team MPS/UPD/LAM/IAA/RSSD/INTA/UPM/DASP/IDA, CC BY-SA 3.0 IGO. Image block; Top left - NASA–James M. Blair; Top right - ESA–Anneke Le Floc'h. Blue Abyss opened its doors in early 2019. Its primary function is to enable extreme environment development, both human and robotic, ranging from the offshore energy industry through to the growing human spaceflight sector and adventure tourism. Its purpose is to play a significant role in the mitigation of risk and reduction of cost across the industries it serves. Blue Abyss also offers a stimulating and fertile environment that inspires technical education and promotes innovative research. The facility houses the largest and deepest fresh-water pool in the world, with a volume of 42,000m³ and a maximum depth of 50 metres. There are also six state-of-the-art training rooms; hyperbaric and hypobaric chambers; the world’s first commercial astronaut training centre; the Kuehnegger Human Performance R&D Centre; and a 120-bed hotel. Part of the Vision 2020 Series: The content of this article is fictitious and has been prepared for illustrative purposes only.